» Prepar3D v3.4 available now! Prepar3D v3.4 is available now! The Prepar3D team has been hard at work making the most stable and performant version yet, as well as integrating emerging technologies and fixing issues reported by the community and developer network. Prepar3D now supports the consumer versions of the Oculus Rift and HTC Vive. Both Virtual Reality (VR) headsets are seamlessly integrated into the application. New VR enabled views automatically become available when a headset is connected to your PC and fully support head tracking and positioning and immersive stereoscopic rendering. New VR views can also be easily added or configured through the Camera SDK. The Prepar3D v3.4 update is available now and can be downloaded from your Downloads page. If you currently own a valid Prepar3D v3 license, there is no charge to update to Prepar3D v3.4. Prepar3D offers separate updates for the Client, Content, and Scenery. This will make updating faster and easier than ever before. Please be sure to read the Prepar3D v3 Download and Installation Directions for more details on how to quickly update to the v3.4 release. It is strongly recommended to only download and install the client as there are only minor updates to content and scenery for this release. Having .NET 4.6 installed is required when updating the client. The full install includes .NET 4.6 as part of the install process. Please refer to the What’s New below to see if these fixes are required for your training needs. The Lockheed Martin Prepar3D team loves hearing about your experiences with Prepar3D at our Forums. The forums also give us an opportunity to listen to your feedback as we continue Prepar3D development. We’ve partnered with our forum users and with several featured developers to continue to bring added features, enhancements, and optimizations all while bringing additional backwards compatibility, bug fixes, and stability to Prepar3D v3.4. The Client installer is required for Prepar3D v3.4, however the Content, Scenery, and SDK installers are optional. You must first have Prepar3D v3 installed to utilize the Client only installer. To install the Prepar3D v3.4 Client, you must first uninstall the Prepar3D v3 Client via Programs and Features in Windows Control Panel. 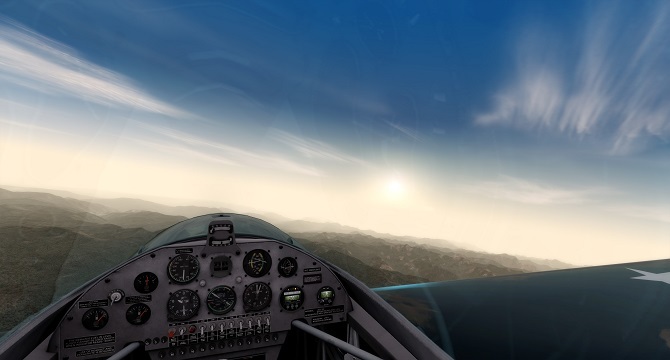 The Prepar3D v3.4 Client update will require you to reactivate your product, however if you have an internet connection or have not made any major hardware changes between installations this should not be an issue. For more information please view the Prepar3D v3 Download and Installation Directions. If this is your first time installing Prepar3D v3, you can simply install the complete Prepar3D v3.4 package. Prepar3D v3.3 will no longer be available from Prepar3D.com. New rendering and window control functionality added to PDK. We hope you find that Prepar3D v3.4 continues to be the most immersive learning, simulation, and training platform available.